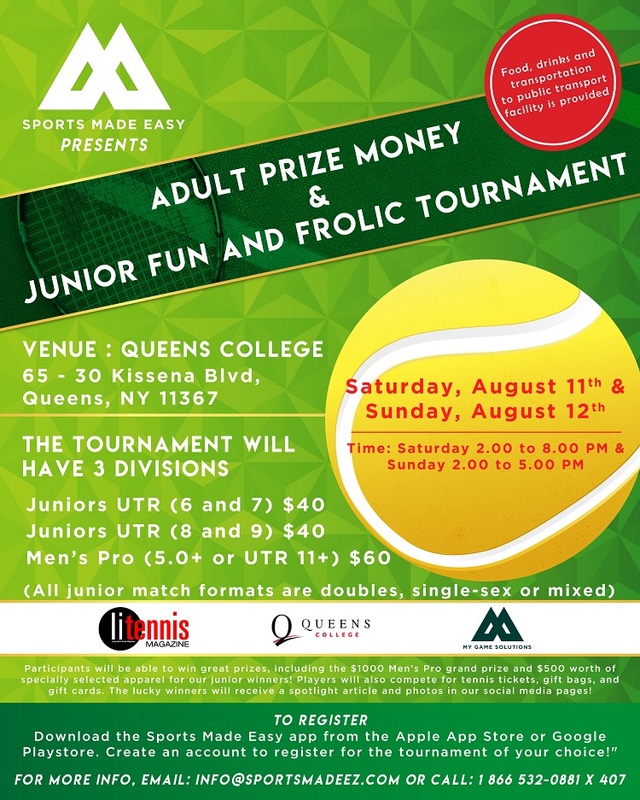 Sports Made Easy presents the Adult Prize Money & Junior Fun and Frolic Tournament, which will be held from Saturday, August 11 through Sunday, August 12 at Queens College, located at 65-30 Kissena Blvd. in Queens. For more information, see the flyer below, or contact info@sportsmadeez.com, call 1-866-532-0881 ext. 407.